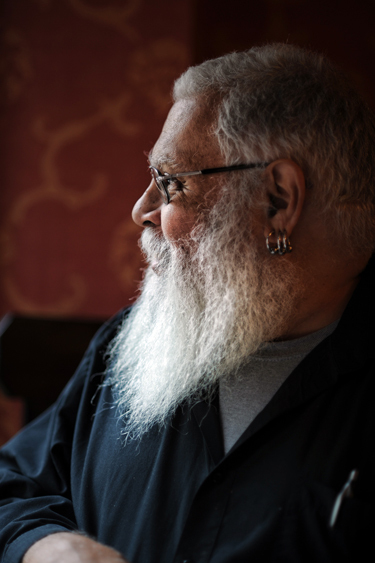 The UC Presidential Chair in Feminist Critical Race & Ethnic Studies and the Living Writers Series at UC Santa Cruz will present an evening with acclaimed science-fiction novelist and critic Samuel R. Delany on Thursday, March 10, at the Music Center Recital Hall. Since the beginning of his career, Delany has stretched the traditional boundaries of science fiction, creating highly imaginative works that address sexual, racial, and social issues, heroic quests, and the nature of language. He has won four Nebula Awards, two Hugo Awards, and the William Whitehead Memorial Award for lifetime achievement. He is an inductee into the Science Fiction Hall of Fame and the winner of the Lambda Literary Pioneer Award. In 2014, Delany also received the 31st Damon Knight Memorial Grand Master of Science Fiction Award. Delany’s novels include science fiction works such as Nova, Dhalgren, The Fall of the Towers, the Nebula-Award winning Babel-17, and The Einstein Intersection, as well as the four-volume fantasy series Return to Neveryon. In 2008, his novel Dark Reflections won the Stonewall Book Award. He has also written Phallos and, most recently, Through the Valley of the Nest of Spiders. Delany’s non-fiction includes three critical books on science fiction, The Jewel-Hinged Jaw, Starboard Wine, and The American Shore. He is the author of the widely-taught Times Square Red/Times Square Blue, and he has written a Hugo Award-winning autobiography The Motion of Light in Water. In 2007, Delany was the subject of a documentary film, The Polymath, or The Life and Opinions of Samel R. Delany, Gentleman, which had its debut at the Tribeca Film Festival. Admission is free and open to the public. No registration is required. Doors open at 4:30 p.m. for a reception and book signing. The reading and Q&A begins at 6 p.m. For more information, contact the Institute for Humanities Research, or call (831) 459-5655.